My daughter suffered from really bad nappy rash when she was teething and I tried literally everything! Until my childminder introduced me to Bepanthen. I used it before bed one night and I woke up in the morning her skin was silky soft with no irritation at all. It can be quite pricey in comparison to other nappy ointments but if you buy the big tube this should last you a really long time as the ointment is really thin so not much needs to be used. Started using this product for my newborn when her skin was peeling. I've use it couple of times and it helped my baby's skin. Before this moisturising cream I've used oil but it wasn't good enough. I would definitely recommend this product. 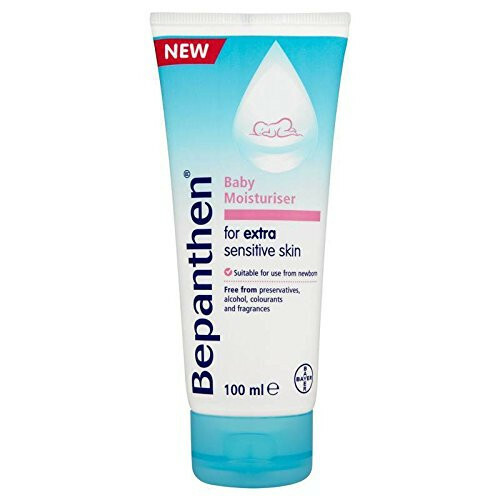 Baby skin that is extra sensitive will love and appreciate the specifically designed Bepanthen Baby Moisturiser. 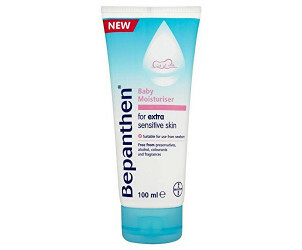 Bepanthen specialises in helping babies delicate skin. This moisturiser is suitable to be used from birth as it contains no preservatives, alcohol, colourants or fragrances, making it gentle and mild. Also contains the added bonus of provitamin B5.